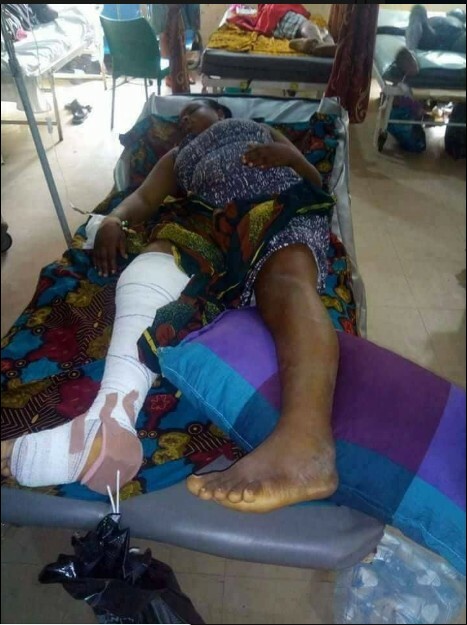 A lady has been hospitalised after suffering an unfortunate mishap in Nnewi area, Anambra state. 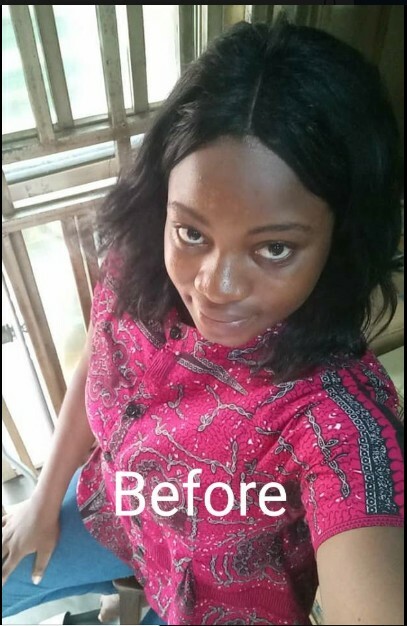 According to Christabeler Akunna, she went to visit her friend when the accident happened which saw her injure badly after falling from a building. It was revealed that the lady was chatting with her friend on the balcony of a two-storey building when she decided to rest on the rail not knowing it was not strong. Immediately she leaned on it, she fell from the building and broke her body parts including femur, patellar Jaw, teeth and ankles. 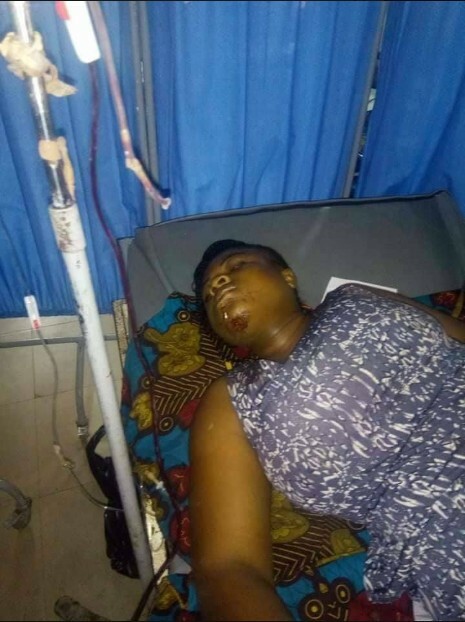 She was rushed to Nnewi Teaching Hospital where she received some treatment after she recovered from consciousness. The lady who lost some tooth – ate liquid food for about four months and also went for local bone setting for five months, all to no avail. Some Facebook users have reached out to the wounded lady in order to come to her aid.